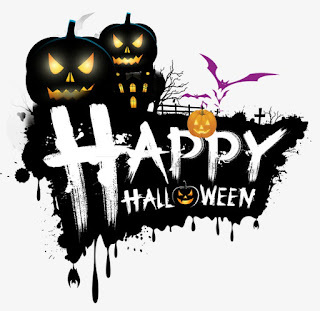 Be safe and have a great Halloween! When you first look upon Oak Alley Plantation in Vacherie, Louisiana, it's a home out of the movies. In this case, that statement is more true than anything. Oak Alley has appeared in films such as Primary Colors, Interview with the Vampire and more recently Stay Alive. But is such a beauty haunted? Oak trees line the walk and frame the house, adding to its exterior appeal. Planted 300 years ago, they may have brought the same to another home owned by a French traveler. Jacques Telesphore Roman met and married Marie Therese Josephine Celina Pilie in 1834. They purchased the house in 1836 and Celina's father Joseph Pilie, an architect, possibly provided the design. The house took approximately two years to complete. In the end, Celina Roman named their beautiful home "Bon Sejour" but travelers dubbed it Oak Alley for the avenue of mighty oaks. On Conover Road near Calmar, it is said a family of four died on this road near some evergreens. It's uncertain if this accident ever took place or not but passersby have seen four shadows on the spot where it supposedly happened. And then there's Birthday Bridge in Mount Pleasant. Birthdays are suppose to be a time for celebration, but according to local legend, one girl wasn't in the mood to celebrate hers. She decided to hang herself from the bridge on her birthday. Supposedly, witnesses can see her spirit hanging from the bridge on that exact day. You've heard of the movie Poltergeist, right? The fictional tale shows what could happen if you disturb a cemetery in the name of progress. The citizens of Pegram, Tennessee may have learned that lesson the hard way as well. The Pegram Family Cemetery sat deteriorating until the 1970s when a group of developers decided to raze the land running along a stretch of Harpeth River. The idea was the build small homes on concrete slabs. Good in theory but selling the soil from the cemetery as fill dirt possibly created a problem. Five years after the project began, the river rose 30 feet, unearthing the coffin of Miss Carrie Pegram Heath. She was probably reburied but could she be the only one not properly removed? If you’re a resident of Kemnay in Scotland, you may have heard of the legend of Maggie Duffton. She once owned the Burnett Arms Hotel, a quaint hotel dating back to the 1800s. Maggie died in 1931. Her wishes was to have three coffins made. One was to be buried in a family grave in the Kemnay Cemetery. The other two, one containing her body and the other her money, was to be walled up in a vault in the hotel cellar. Seventy-eight years later, Malcolm Edwards, current hotel boss, is determined to prove the legend’s validity once and for all. Along with local stonemason Karl Bisset, the plan is to open up a solid cellar wall. A probe camera was pushed through a tiny wall to reveal a framed photograph and box. The demolition date was set for July 11th. Villagers were even invited to watch the unveiling on a large screen in the bar above. I could not find any word of what happened. Maybe there was nothing to tell.